The CSNS (China Spallation Neutron Source) International Advisory Committee held its eighth review meeting at IHEP’s Dongguan Campus from November 1 to 3, 2016. Seventeen noted scientists from ANL, ANSTO, CERN, ESS, BNL, JAEA and J-PARC, MSU, ORNL, RAL, STFC and Universita degli Studi di Roma attended the meeting and reviewed the progress of the CSNS project. CSNS Project Director Chen Hesheng gave an overall report on CSNS, covering the accelerator, target and spectrometer, facility construction and user training. Lin Guopin, Fu Shinian and Wang Fangwei gave reports on the various sub-systems. 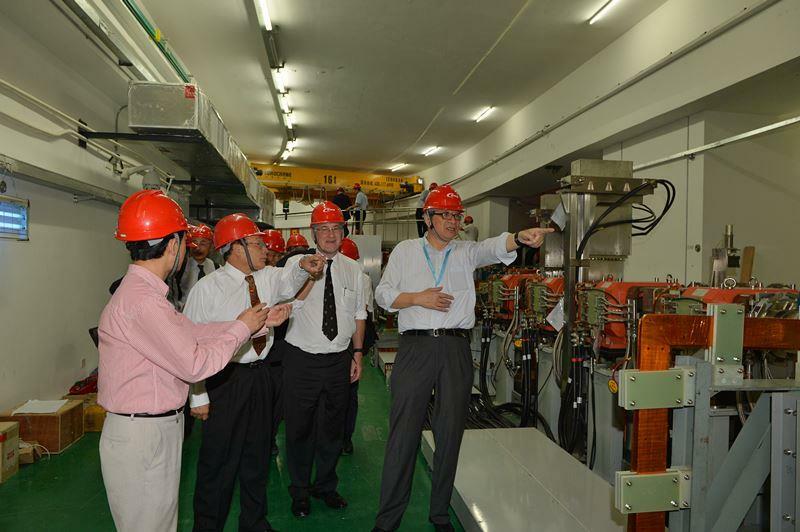 The review panel toured the linac tunnel, storage ring tunnel and the target, and commented on the excellent work done since last year. The review experts listened to 28 detailed reports and had thorough discussions and exchanges with the CSNS staff. They concluded that since the last review meeting, the project has made remarkable progress. Valuable suggestions and opinions were put forward on such key issues as organization of the user community, safety issues and project management. Chen Hesheng thanked the review panel and promised to respond soon after studying their report.